On Thursday, May 24th 2018, Malvern Volunteer and Past Fire Chief Joe Lebresco Sr. was recognized by State Senator Andy Dinniman for his 65 years of dedicated service to the Malvern Fire Company and community. 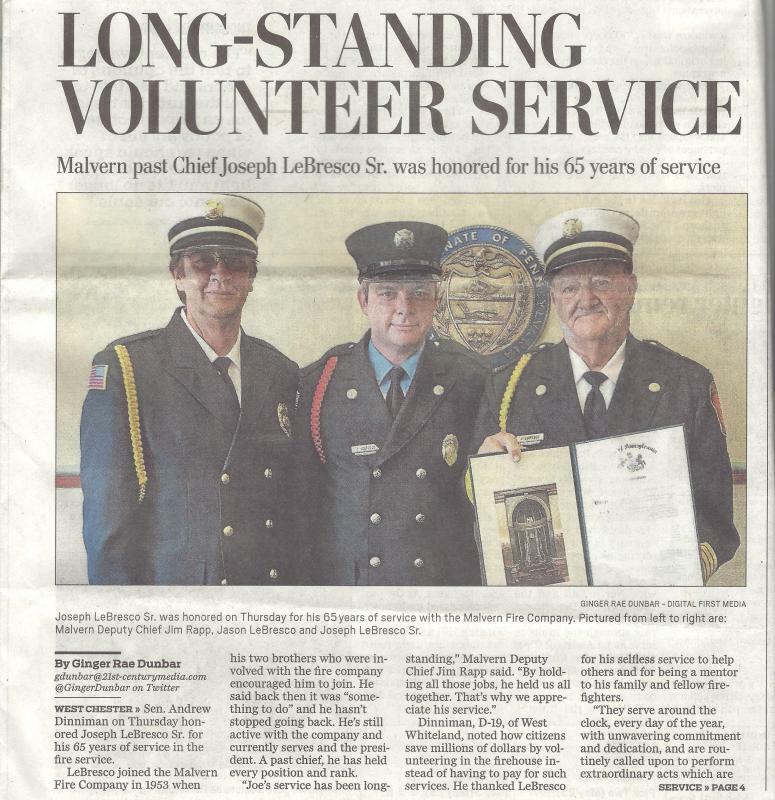 Joe joined the Malvern Fire Company in 1953 at the suggestion of his brothers, who were both involved with the fire company at the time. 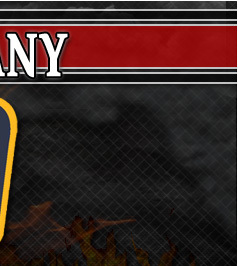 Joe is currently the President of the company and has held every operational rank from Firefighter to Fire Chief. Malvern Deputy Chief Jim Rapp spoke on behalf of the Fire Company as he thanked Joe for his service. 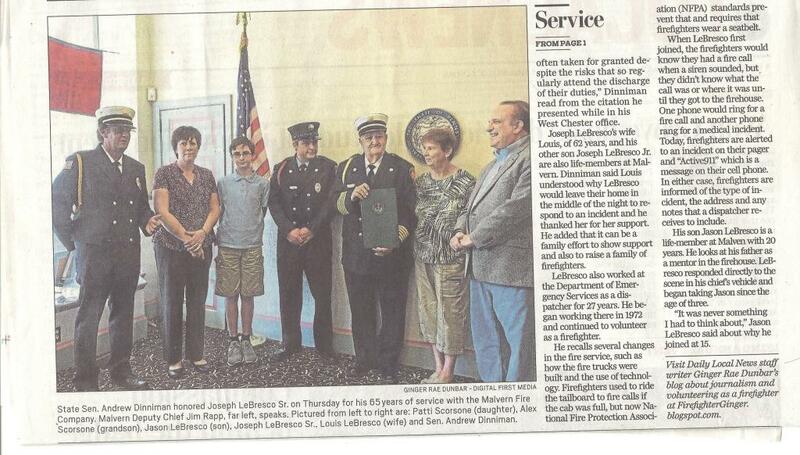 Joe was flanked by his wife Lois of 62 years and his grandson Jay, who is also a life member of the Malvern Fire Company with 20 years of service. Thanks Jason and Lois for sharing him with us all of these years! Joe has received many accolades and awards in his storied fire service career. One such award was a citation for the rescue of two people from a November 1987 house fire. Joe was named on the citation with Jim Rapp, Craig Patton and Dave Mellinger Sr.
On behalf of all the members of the fire company past and present who have been influenced or helped by Joe, or who benefited from the organization that Joe has been influential in building, Thank you Joe! Congratulations to everyone with whom I have had the pleasure of knowing. Malvern is where I was raised and at one point in time I rented the bottom portion of Edna Stauffers house directly across from the station. I was the last Mauger to reside in Malvern. The Fire Company deserves many accolades as it one of the few volunteer services still preformed. So congratulations for all you do for many years to come. Many thanks too!